Roofing Superstore is proud to offer the very latest and most popular products in the Cembrit slate range. Cembrit have been market leaders in the manufacturing and distribution of fibre-cement and slate products in both the UK and Europe for a number of years, so you can trust in their high quality, innovative and reliable products. 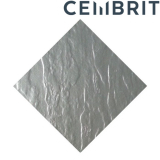 Their man-made fibre cement slate tiles come in a range of styles, designs and colours to allow you to create the perfect roof. The Cembrit Jutland slate range is one of the most popular fibre-cement slate products available from Cembrit. Each Jutland slate has a smooth face, with square edges, and comes in a range of 4 different colours. The Jutland slate range from Cembrit allows you to create a roof that appears like natural slate to the eye, but comes with a number of benefits, particularly in the installation process. 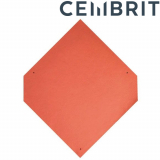 Each Cembrit Jutland tile comes pre-holed, and lightweight, and they are easily cut with handheld tools. 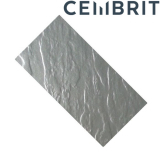 Jutland fibre-cement slate tiles are designed for complex roofs, but are also used on large roofs to create features. The Cembrit Zeeland slate range is considered the mid-range option of fibre-cement products. 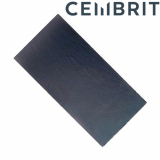 Each slate has an attractive, riven surface and square edges, which creates the appearance of natural slate, especially with the texture, but allows neat regularity of a low profile slate roof. Cembrit Zeeland slate tiles are much lighter than traditional slate, making handling and installation easy – particularly with the pre-holed features. The Moorland range of slate from Cembrit is the perfect choice when you’re looking to create a roof that has the appearance of high end, lightly textured slate, but without the high cost. Each Moorland slate from Cembrit is consistent, lightweight and comes pre-holed, all of which mean that they do not require sorting or grading before insulation, improving installation and handling times. 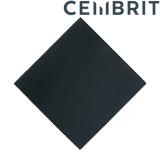 The Cembrit range of Westerland slate tiles is considered the top of the range. The Cembrit Westerland slates are double lap slates, combining a sleek, consistent appearance, only achieved via man-made processes, with the natural look and texture of high end natural slate products. 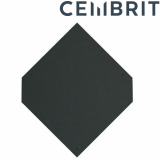 As with all fibre-cement slate products from Cembrit, each slate tile comes pre-holed, and is easy to cut with hand tools. The Westerland slates are perfect for residential, commercial or publicly owned buildings, creating the perfect finishing touch. Diamond slates first became popular at the beginning of the 20th century, and have experienced a resurgence recently in the rebuilding, renovating and reroofing of rural buildings, and buildings from the original era. 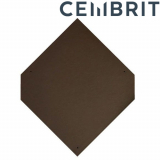 The Cembrit Diamond range of slate tiles provides you with a simple and cost effective way of replicating these diamond slates. Coming in a single lap format, the Cembrit Diamond slates are most suitable for simple duo-pitch roofs, and other roof pitches of 30 degrees or above. If you have any questions about Cembrit slate tiles, or would like some advice on your latest project, call our team on 01752 692760 or use the live chat and they will be more than happy to help.